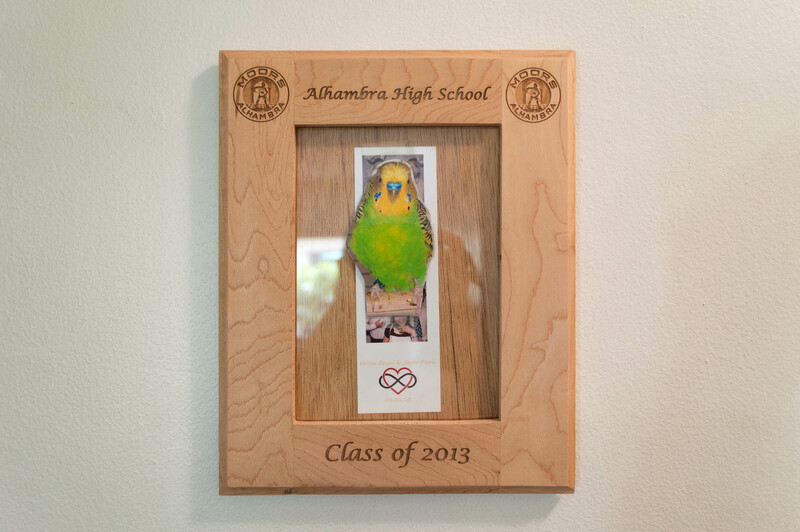 This is a picture frame that I made in the Alhambra High School woodshop. It is constructed from maple that was reclaimed from the school bleachers and gym flooring. The designs were engraved with a laser cutter. This project was completed in 2013 before I graduated from AHS. Thanks to Mr. Sachez and Mr. Mason.